Ginger produces the finest hand-finished, bathroom accessories, brass lighting, mirrors, and decorative hardware. Ginger bath products provide a sleek luxurious feel to any bathroom. 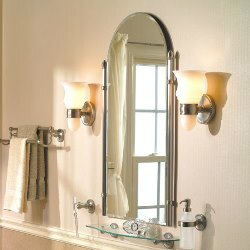 Indulge in bath room fixtures and accessories. 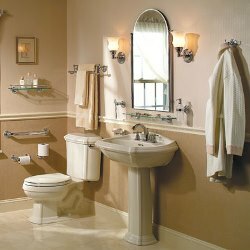 Ginger Bathroom Collections include bathroom fixtures like: towel bars, soap dishes, soap and lotion dispensers, shower curtain rods, robe hooks, self-draining toiletry baskets, towel shelves, grab bars, mirrors, sconce lighting and cabinet hardware.